SpoOoOoOky! 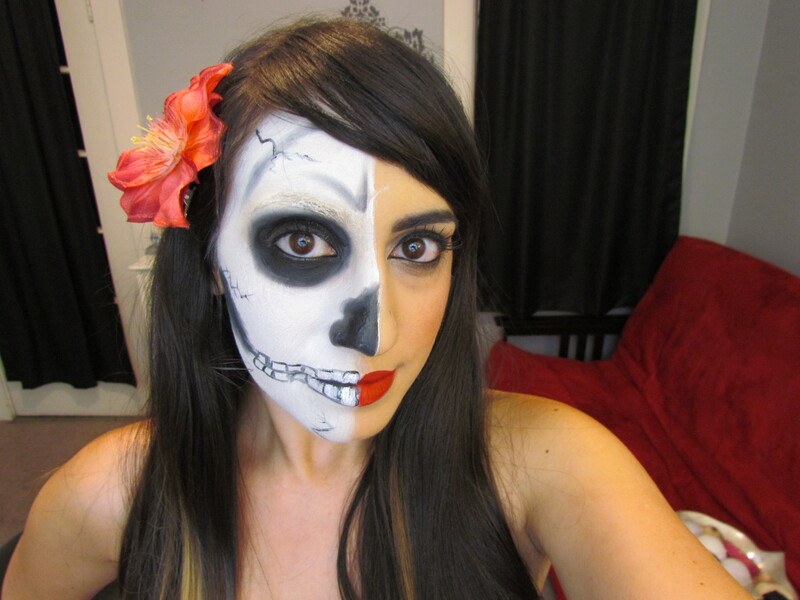 Here’s my first look for Halloween this year… I call her SKELETORA. 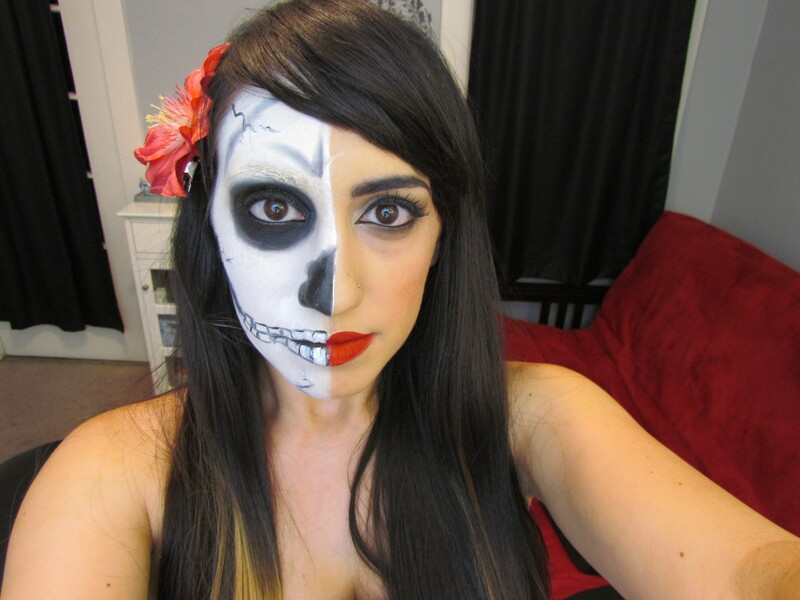 She’s a little two-faced, if you know what I mean..
White face paint– This is your first step. Choose a face paint that dries down (usually water-based, MAC’s Chromacake is fantastic). 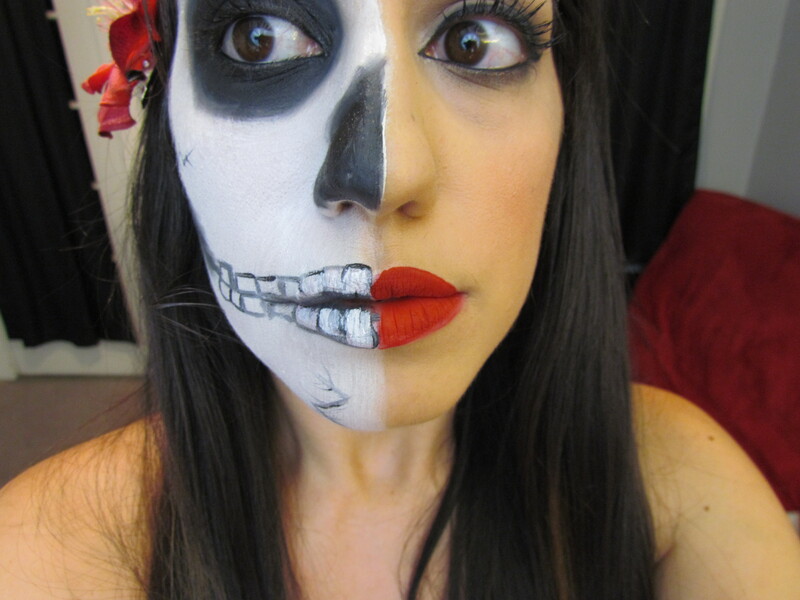 If you go with a cream it will smear faster than you can say “boo!” Set this down with white or invisible loose powder. Black liquid liner– Any ol’ liquid liner will do, but I prefer waterproof. Wet N’ Wild has an awesome one for super cheap. You’ll use this to create cracks in the skull and drawing out the teeth. Black eye shadow- Pick a matte black shadow to buff out the edges on the eye sockets, nose and jaw. Extra Step: if you have thick dark eyebrows like me, you will need to flatten them down with a glue stick (just run it over back and forth until you get a few layers of glue in there) then cover them up with a heavy concealer before starting the look. Tutorial coming soon! What else would you guys like to see for Halloween? Let me know in the comments below.